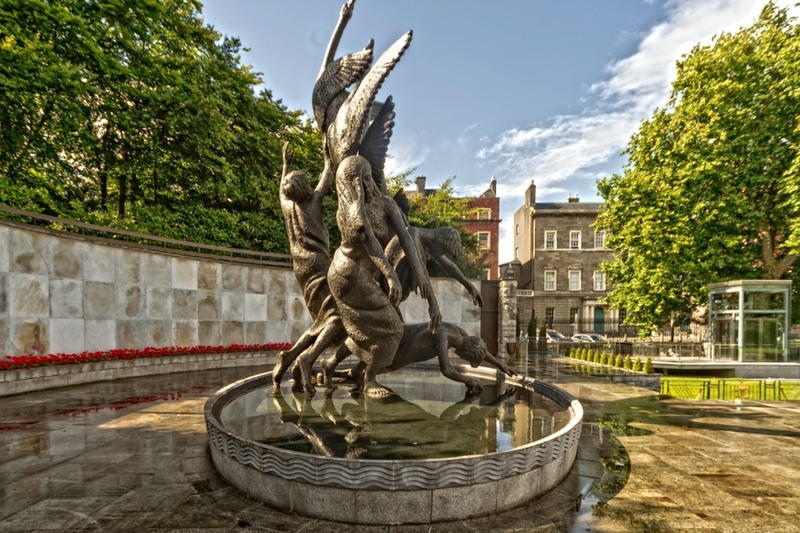 The Children of Lir was commissioned for the Garden of Remembrance on Dublin's Parnell Square. 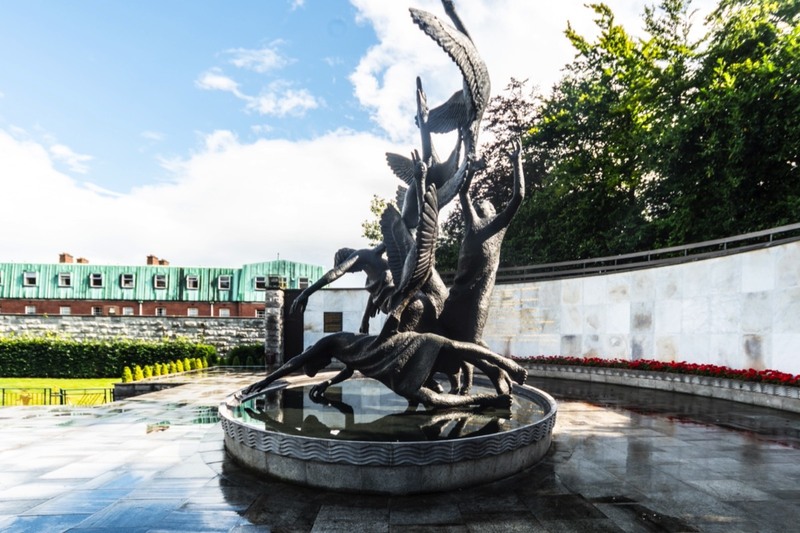 The Garden was designed by former Dublin City Architect Daithi P. Hanly, who commissioned Oisín Kelly to make a statue to commemorate Irish freedom fighters. 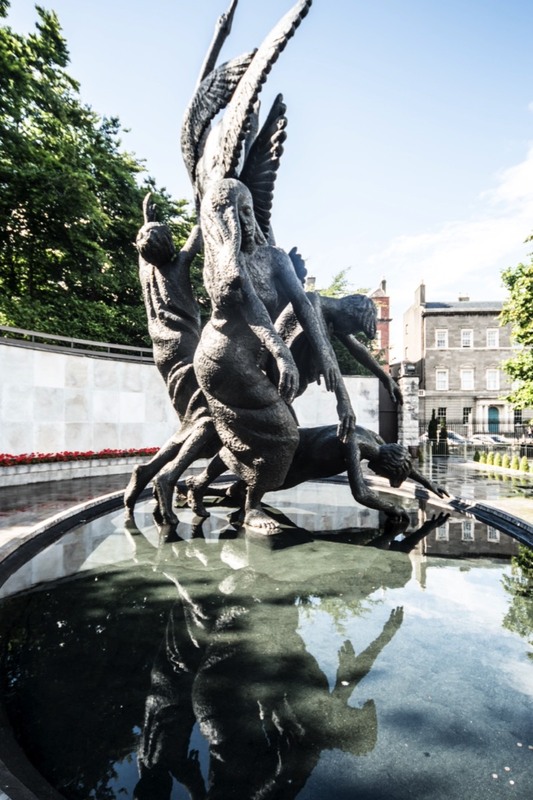 It was unveiled on Easter Monday 1966, the golden jubilee of the Easter Rising, by then President Eamon de Valera. 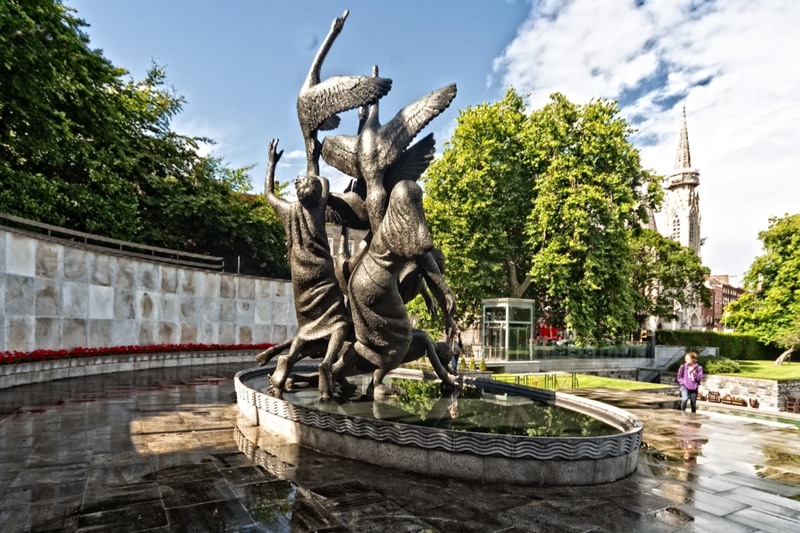 The sculpture drew criticism on the grounds that it was not fitting that a subject from pagan legend, in this case the Children of Lir, should be the basis of a public monument in a Christian country. If you read the story you may find the criticism somewhat confusing. 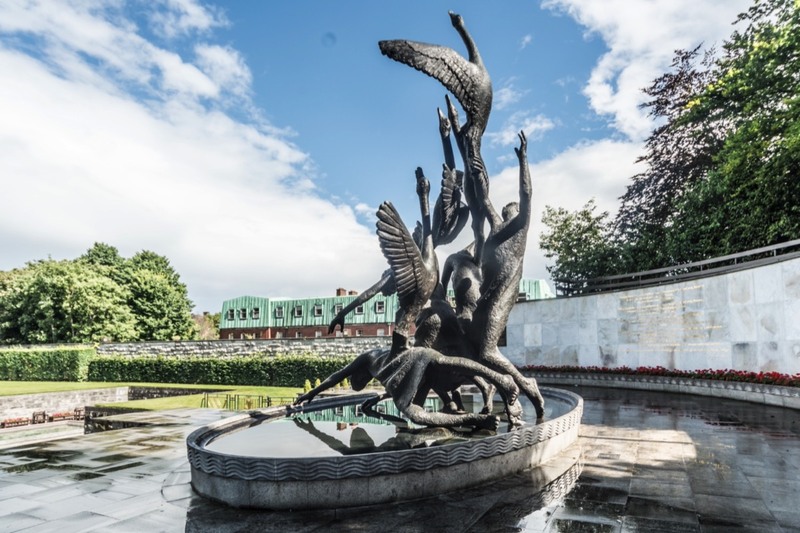 Kelly’s work is made of copper bronze and depicts the four figures of the children (Of Lir), and four swans: according to the legend the children were transformed into swans for 300 years. 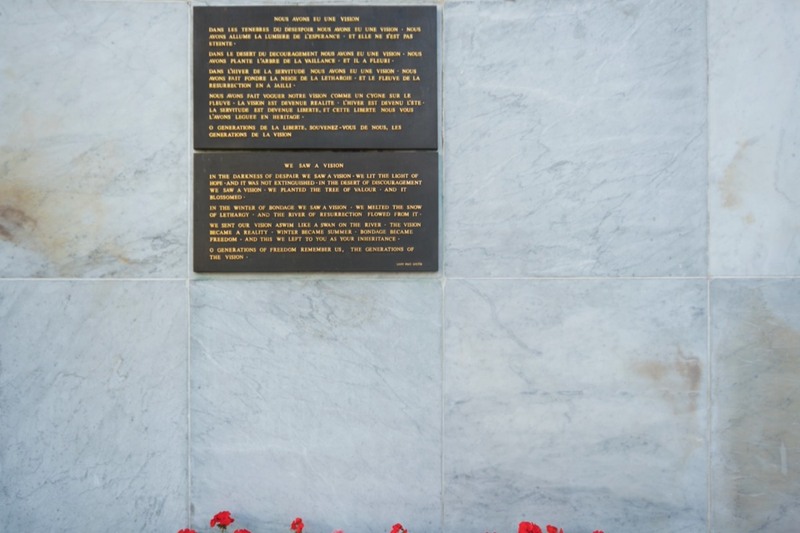 “In the darkness of despair we saw a vision. Bodb Derg was elected king of the Tuatha Dé Danann, much to the annoyance of Lir. To appease Lir, Bodb gave one of his daughters, Aoibh, to him in marriage. 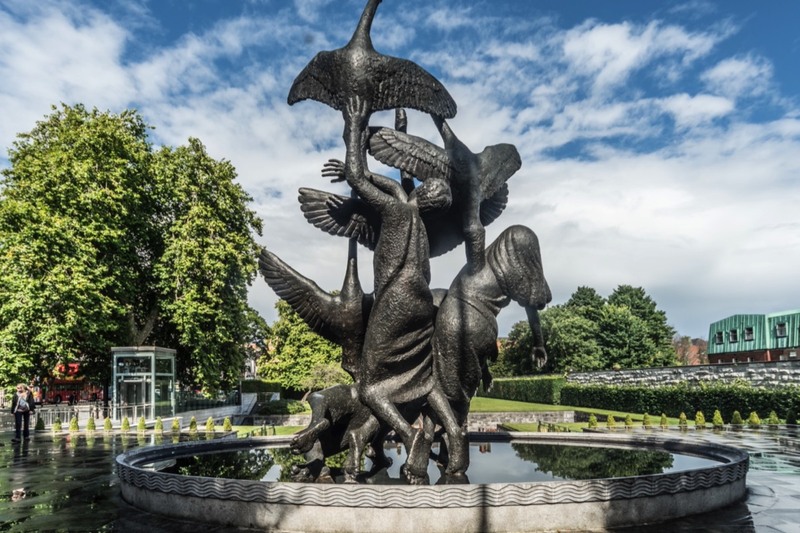 Aoibh bore Lir four children: one girl, Fionnuala, and three sons, Aodh and twins, Fiachra and Conn.
Aoibh died, and her children missed her terribly. Wanting to keep Lir happy, Bodb sent another of his daughters, Aoife, to marry Lir. Jealous of the children's love for each other and for their father, Aoife plotted to get rid of the children. On a journey with the children to Bodb's house, she ordered her servant to kill them, but the servant refused. In anger, she tried to kill them herself, but did not have the courage. Instead, she used her magic to turn the children into swans. When Bodb heard of this, he transformed Aoife into an air demon for eternity. As swans, the children had to spend 300 years on Lough Derravaragh (a lake near their father's castle), 300 years in the Sea of Moyle, and 300 years on the waters of Irrus Domnann Erris near to Inishglora Island (Inis Gluaire). To end the spell, they would have to be blessed by a monk. While the children were swans, Saint Patrick converted Ireland to Christianity. After the children, as swans, spent their long periods in each region, they received sanctuary from MacCaomhog (or Mochua), a monk in Inis Gluaire. Some versions of the tale claim each child was tied to the other with silver chains to ensure that they would stay together forever. However Deoch, the wife of the King of Leinster and daughter of the King of Munster, wanted the swans for her own, so she ordered her husband Lairgean to attack the monastery and seize the swans. 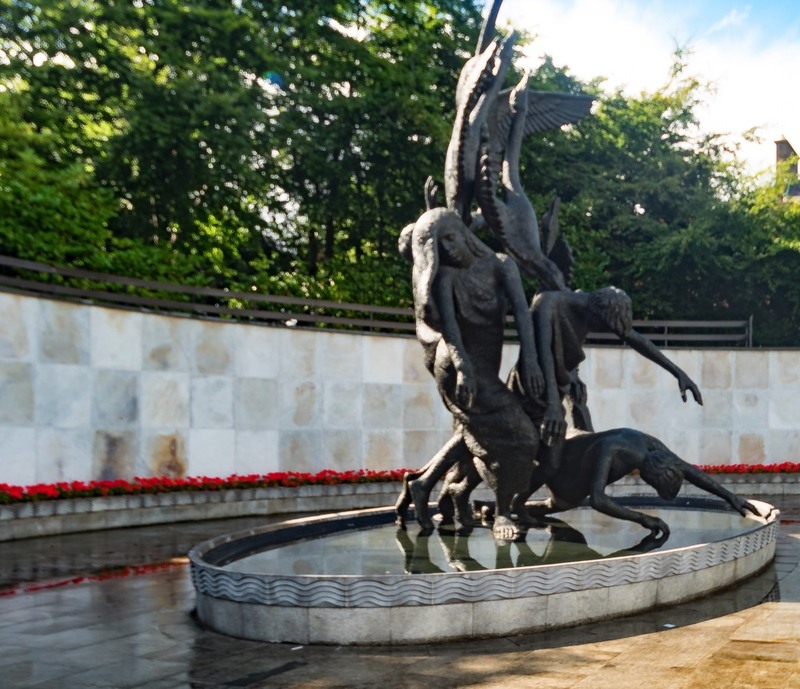 In this attack, the silver chains were broken and the swans transformed into old, withered people. Another version of the legend tells that as the king was leaving the sanctuary with the swans, the bell of the church tolled, releasing them from the spell. Before they died, each was baptised and then later buried in one grave, standing, with Fionnuala, the daughter, in the middle, Fiacre and Conn, the twins, on either side of her, and Aodh in front of her. In an alternative ending, the four suffered on the three lakes for 900 years, and then heard the bell. When they came back to the land a priest found them. The swans asked the priest to turn them back into humans, and he did, but since they were over 900 years old, they died and lived happily in heaven with their mother and father.